We love hosting debut authors here at The Romance Dish and when that author is a long-time friend it makes the occasion all the more special. Today, it's my extreme pleasure to introduce Nancy Northcott. One of the famed (or it is infamous?) Romance Bandits, Nancy is a three-time Golden Heart finalist who has indulged her passion for history, adventure and fantasy/science fiction since she was a young child. That sense of adventure comes through loud and clear in her superb debut novel, RENEGADE along with a firm belief in romance happy endings. You'll read more details in my upcoming review but for now, let me just say that I was blown away by this book. It grabbed me from the very first page and kept me reading late into the night until I reached the end. Library Journal, in a starred review (not many of those go to debut novels), calls RENEGADE "Genre fiction at its best." and I totally agree. 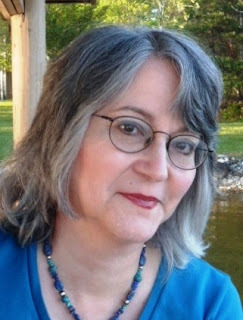 You can connect with Nancy at her website, facebook and twitter as well as the Romance Bandits blog. Sometimes choices that seem routine lead down unexpected paths. This has happened to me, and it happens to Griff and Valeria, the hero and heroine of my debut paranormal romance, Renegade. One memorable example of this in my life occurred when I agreed to have lunch with a guy a friend thought might be perfect for me. Twenty-five years and one boy later, we’re still meeting for lunch. Also dinner and breakfast. The most recent example of such serendipity in my life was in the choice of the Okefenokee Swamp as a background for my mage romances. 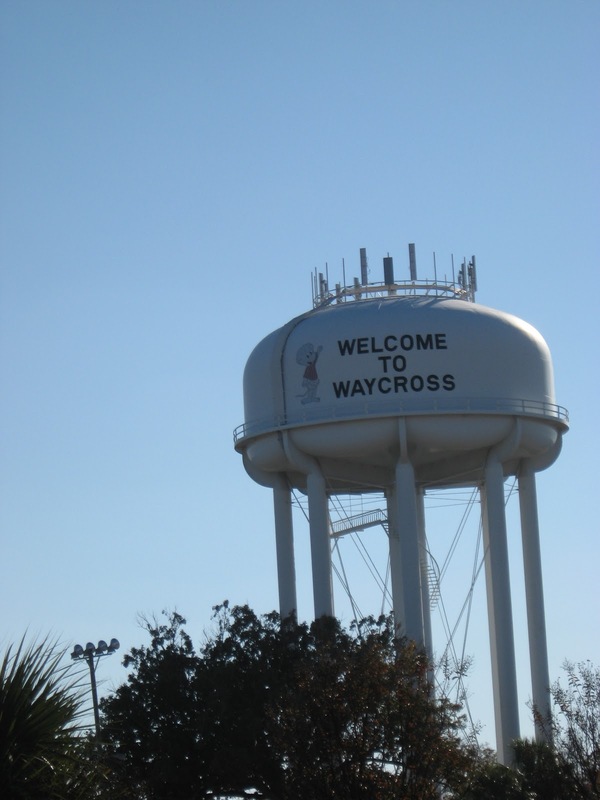 When I was in grade school, my family used to drive from North Carolina to Florida to visit relatives every summer. My parents always tried to do something fun or educational on the way down or back. One year, they decided to stop at the Okefenokee. I’ve previously said I remember almost nothing about this trip except the name Okefenokee Swamp and my mom’s fear that a snake would fall in the boat. I don’t remember whether we actually went in a boat, though I’m pretty sure I’d remember if we’d encountered a snake. The Okefenokee was the setting of the late Walt Kelly’s comic strip, Pogo, so the name stayed in front of me for a while, but I soon forgot about it. Pogo is pictured on the water tank at left. It popped up again when I was trying to build a world for my mages. I wanted something spooky that hadn’t already been used by a lot of people. As I’ve mentioned at other times, I suggested the Okefenokee Swamp to my brainstorming group. I’d researched it on the internet (http://www.fws.gov/okefenokee/), and it looked as though it had a lot of possibilities. This book, set in this world, gave me my first sale. But I’m not sure I would’ve thought of the swamp if not for that barely remembered side trip my parents chose for us. 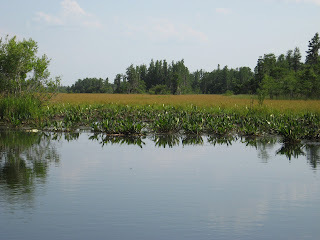 Once the books were actually going forward, more research seemed in order, so we stopped at the Okefenokee, as some of you know, this past May. Driving into the refuge, I told the dh and the boy, “I hope this is as cool as I think it is because I’m stuck with it now.” It was not only cool but amazing. I fell in love with the place. It had far more potential than I had realized, and seeing it gave me a lot of ideas. Serendipity took me there in the first place, and it laid the ground work for the world Griff and Val and their fellow mages inhabit. These two also have apparently routine choices lead them down paths that will change their lives. 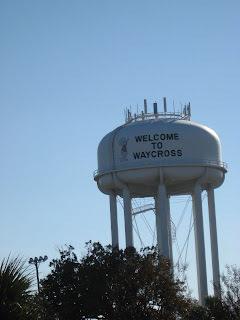 Val stops for dinner in the imaginary town of Wayfarer, Georgia, sees ghouls attacking Mundanes, and saves the victims, only to become a prisoner in their stead. Griff hears her magical cry for help and goes to her assistance. That rescue will change both their lives, as the routine task of listening to a witness catapulted Griff from shire reeve (sheriff) to fugitive in a single day. The hero and heroine riding into the sunset together is kind of a cliché, so I’ll tell you their book doesn’t end with a sunset. My Friday did, though, and I’d like to share that image with you. 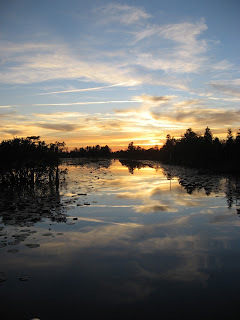 The dh and I went back to the Okefenokee and took a sunset cruise. It went past Chesser Prairie, which is pictured above. The water level is higher now, thanks to a June hurricane, so the prairie looks a little different. (In the Okefenokee, a prairie is actually a submerged area.) This photo shows how our Friday ended, all because of a side trip my parents casually decided to take so many years ago. Have apparently insignificant choices led to big changes in your life? Can you think of a book or a movie where such a choice led to something bigger, for good or ill? I’ll give away a download of Renegade, Nook or Kindle format, US/Canada only, and a Keeper Kase to one randomly chosen person leaving a comment. As the mage council’s sheriff for the southeastern United States, Valeria Banning doesn’t just take her job seriously, she takes it personally. So when a notorious fugitive and supposed traitor risks his life to save hers, she has to wonder why. To find the answer, she’ll have to put everything on the line, starting with her heart. As a mage, Griffin Dare is sworn to protect innocents from dark magic, which is how he finds himself fighting side by side with the beautiful Valeria Banning. But when the council finds out the two have been working together, the pair must run for their lives–from the law, the threat of a ghoul takeover, and a possible council mole. Good morning! I have patiently waiting for this book Nancy, can't wait to read it. Dianna, better block out enough time to read the whole book at one sitting. This is one story that will not let you go! Hi, Nancy! It's such a pleasure to welcome you today as a published author! As you know, I loved RENEGADE! I'm writing my review right now and having to rein myself in so I don't gush all over it but, honestly, this book is worth some gushing. Thanks for including the photos with your blog. It looks exactly as I envisioned it while reading the book! Hi, PJ---Thank you for having me today. I'm so glad you enjoyed Renegade, and I appreciate the kudos you've posted online. I was glad to send the photos. The sunset tour was just amazing. Afterward, walking to the car, we looked up and saw a sky full of stars, the kind of view ambient light drowns in a town or city. It was so dark, we could see the Milky Way. The first photo shows the area where we got out of the boat and walked around in May. So does the second photo, except that getting out there now would involve wading more than walking. The yellow sedge is completely submerged now. We took a half-day ride yesterday and saw prairie areas that look like grassland, except the tall grass is hiding several inches of water. The water tower had the light behind it, but we thought it looked cool. I remember the comic strip and couldn't resist the photo. Dianna, thank you for your patience. I hope Renegade will be worth your wait. Congratulations again on the starred review. Renegade deserves all the accolades that's coming its way. Great characters, great story! As for choices, I just read an ARC in which the heroine, a small-town librarian who thinks her life is settled, chooses against type to attend a masquerade and thereby changes her life radically. I suspect that if we examined fiction--and biography--carefully, we'd find this is the case more often than not. I suspect that if we examined fiction--and biography--carefully, we'd find this is the case more often than not. I suspect you're correct, Janga. The ARC sounds interesting. Looking forward to hearing more about it! Nancy, first of all, I love the photo of you here! Verrrry nice! I am so excited for you, yay! I usually don't read books like this, but because I know you through RB and your posts on FB, I can just tell this is going to be one fantastic story. Plus, PJ and Andrea have excellent tastes in reading. ;) I can't think of any small detail that panned out into something bigger....I'm sure there are some choices I've made that have led bigger and better things. Deb, thanks! Jeanne did the makeup and Cassondra took the photo. Thanks for your faith in Renegade. If you decide to try it, I hope you like it, but I know not every book is for every reader. Isn't that a wonderful photo, Deb? Blue is definitely your color, Nancy! Janga, thank you! I appreciate all the good things you've said in various places. This ARC sounds interesting. What genre is it, and will you be reviewing it soon? Hi Nancy! Hi Dishies! Swinging over from the Lair to help celebrate the launch of this FABULOUS book! I know it will be the first of many great reads from Nancy - can't wait! The reason I'm a romance writer at all is due to a combination of choices, circumstances and unusual happenings. It all started with lovely hubby getting the chance to work in NJ for a few years. For me and for us as a couple, that was a no-brainer. We have one of those split souls with one half English and one half American. *g*. The plan was for me to work as a teacher when we got to NJ, but 9-11 (getting a work permit was almost impossible), NJ laws (I'd have had to recertify) among other bizarre things meant that wasn't going to happen. Then, lovely hubby saw an advert for B&N University and a romance writing course. He knew that's what I'd always wanted to do, so he suggested I take it. I laughed at first, but when I found out it was run by the Gotham Writers Workshop in NY, I gave it a go. The rest, as they say, is history! I'd say we're all lucky your lovely hubby saw that course advert! Anna, thanks for the kind words! What a confluence of circumstances occurred because of that one choice you and the dh made! We could also say you're a Romance Bandit because of that, so it was lucky for us all! I'm reading this right now and loving it. And I'm not a paranormal reader so that's saying something. Such great writing and I love the characters. Congrats, Nancy! Looking forward to the rest of the series. Terri, thanks! I'm glad you're enjoying the book. Isn't it a fabulous story, Terri? I stayed up way past my bedtime because the characters refused to let me go! Speaking on behalf of Bon Bons everywhere, we are so glad you found your way to Eloisa's bulletin board that hot summer night! Beth, thank you! Was the future dh in the band, or was he a fellow spectator? Beth, it's such a great story but you better make sure you have plenty of free time before you start reading because once you start, you won't want to put the book down until you finish! What a great decision you made to go with your friends that night. You just never know, do you? Hi Nancy and PJ!!! (Waving wildly) SO excited for your release!!!!! I'm not much into swamps and am TOTALLY with your Mom about snakes but figure if I had a hero mage to take care of things, it would be ok.
As to choices that led to better things? Joining the Bandits. Best. Decision. Ever. Joan, thank you! I think Griff could easily deal with any snake he encountered. FWIW, we walked one of the short trails and didn't see any snakes. Or the mama bear and cub reputed to be in the area. We did see three wild turkeys, who ran away when I tried to get close enough for a picture. You know, I am so not Nature Girl that it's a bit strange that I've become so keen on this swamp. Hi, PJ and Nancy! The pictures are lovely, Nancy, and I can see why you garnered lots of new ideas from such a place. Cool! I had a similar incident when I visited my older brother in NC and stayed in a cabin on the Pasquotank River. It was the strange story of a woman whose murder was always shrouded in mystery, however, that captured my interest and led to WEAK FLESH. Jo, thanks. I took so many photos this trip that it killed the brand new batteries in my camera! I did not know cypress trees changed colors and lost their leaves, but they do. I'm an NC native but have never visited the Pasquotank. It sounds cool. What about it inspired Weak Flesh, which I have and hope to read when life settles a bit? Catslady, thanks! I like reading debuts, too, though of course the ones I like end up increasing the TBR pile ever after. Hiya my lovely Dishes! Hiya Bandita Sister Nancy! So excited that RENEGADE is finally here! I just pre-ordered it from the Book Depository - so glad it's coming out in paperback, I don't have an e-reader. And I'll have a book-sized version of that beautiful cover to drool over. Yum! Nancy, what fascinating background as to why you chose the Okefenokee Swamp. Mind you, you've got me just with the name! What a cool word! Where does it originate, do you know? And congratulate on that starred review. I've been seeing so much buzz about RENEGADE, you must be delighted! Hi Anna--Thanks! I'm excited, too. I'm glad you were able to get a copy. I have to admit I don't understand why the print version is available where the e-version apparently is not, but that's above my pay grade. Because you asked, I looked up the etymology of "renegade." It comes from the Latin "renegare," to deny, a renegade apparently being one who denies allegiance to the group. The buzz has been nice, and I've enjoyed it. Putting the book out there was a little nerve-wracking. Thanks for the pat on the back and the good wishes. I hope you enjoy the book. Actually it was Okefenokee I wanted to know about but thanks for the Renegade info! I'm just glad R is available in print - much easier on my toner cartridges! Nancy, SUPER CONGRATS on your debut release! Can't wait to get my hands (or my Kindle) on this book! I too met my DH on one of those serendipitous occasions. A friend wanted to go to a singles event but didn't want to go alone. I was casually dating someone else at the time, but went with her anyway. That was almost 24 years ago, and I've always been sooo glad I tagged along! Hope Renegade sells tons of copies! Cindy, thank you! Okefenokee Adventures, the official concessionaire on the east side of the refuge (near Folkston), has a 90-minute tour that's a good introduction to the swamp, if you decide to take the plunge. How cool that you met your dh that way! Sorry I've been MIA. I was on the road but am home now and will catch up with all the comments as soon as I feed the dogs and unpack the car. PJ, no worries. We've just been rocking along here. Nancy!!! *waving madly* Welcome to the guest author spot! I'm so happy for you and your debut. And as a Georgia gal, I must read it! Sometimes something as simple as which way a person decides to cross the street can determine whether an potentially important encounter occurs. Congrats on your book! It sounds great & its on my wish list :-) It is something how those little things can lead to interesting results on occasion. What a lovely blog, Nancy and gorgeous pictures to go with it. I can't wait to read RENEGADE. Love the description of you meeting that man for all your meals now. Gorgeous! I suppose meeting the man we end up with is always serendipitous to some extent. I met my husband while on work experience at his firm. If I'd been assigned to someone else that week, I'd never have come to know him at all. Life's funny sometimes, isn't it? Thank you, Christina. Glad you liked it. Yes, I think there's always serendipity involved in first meetings, in our books and in our lives. That's a great story about you and the dh. Thanks to PJ and Andrea for having me as a guest and to everyone who stopped by. I enjoyed hanging out with you! The Okefenokee Swamp is one of my favorite places. I also went as a child. Black water equals a mirror equals magic! Can't wait to read your book, Nancy. Thanks, Nicki. I hope you like Renegade. That water is very much like a mirror, and not only at sunset. We'll have to compare notes sometime.